Truly authentic Mexican food has a rich history based on ancient Mayan traditions combined with introductions by the Spanish colonists, and when combined with NZ seafood brings a fresh and vibrant depth of flavour far from the cuisine’s spicy and heavy misconception. 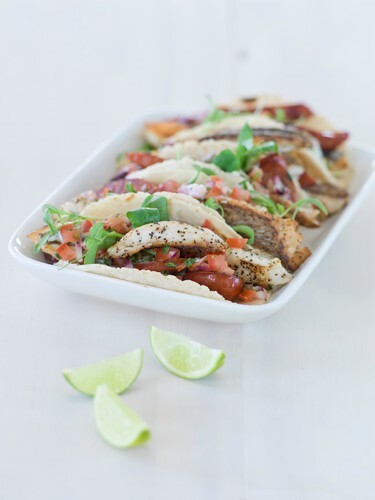 In this class we’ll show you that there’s much more to try than just Tacos as your chef will showcase 3 incredibly tasty street food recipes that will be your next fast food favourites. Tonight you will be cooking – Baja Burrito, Pesca Cemita and Quesadillas with Cerveza and Vino specials on the night. We'll also have free tastings of beers from the Birkenhead Brewing Company matched with the menu for you to try. Complimentary beverage on arrival. Bar open from 6pm. Class starts promptly at 6:30pm. Note: The above photo is indicative only. An image from The New Zealand Seafood Cookbook by Auckland Seafood School. Food photography by Sean Shadbolt. Published by Penguin Group NZ.